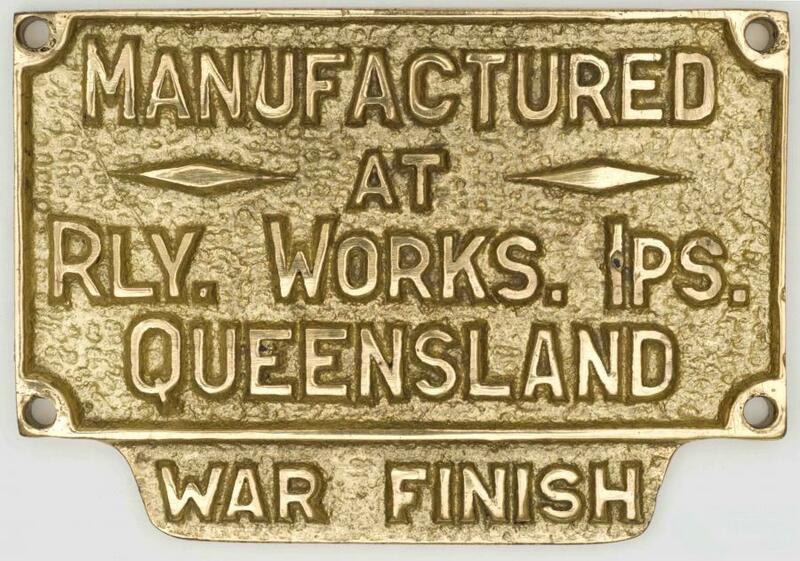 This Builders plate from the Ipswich Railway Workshops proudly proclaims 'War Finish'. 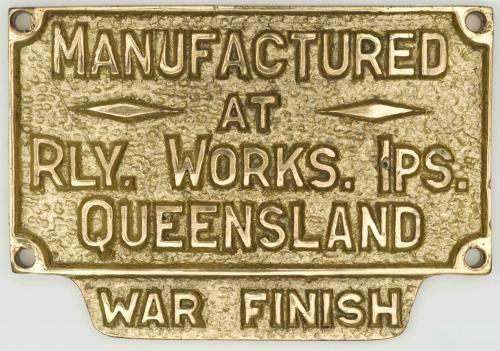 As a result of incredible pressures on rail networks with the huge increase in rail traffic and the shortage of qualified tradesmen, the railway workshops at Ipswich themselves went onto a war footing, maintaining rolling stock that was under heavy use and in addition producing equipment for the war efforts. War Finish indicated the product was functional without unnecessary embellishments - the epitome of the austerity drives of World War II.